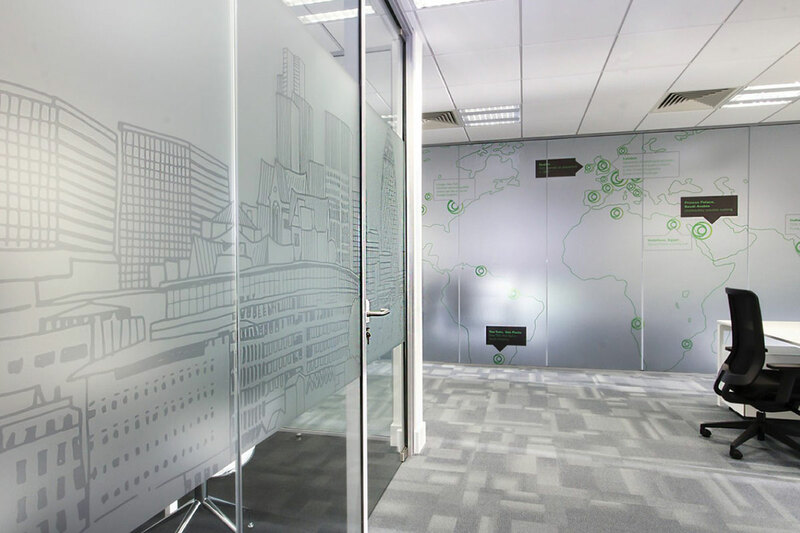 At OGX, we partner with you to transform walls, windows and floors by using skillfully designed and produced vinyl wall stickers, murals, decals, wall art transfers and coverings. Our highly skilled graphic designers will develop outstanding concepts for your work space that reflect and support your brand personality. 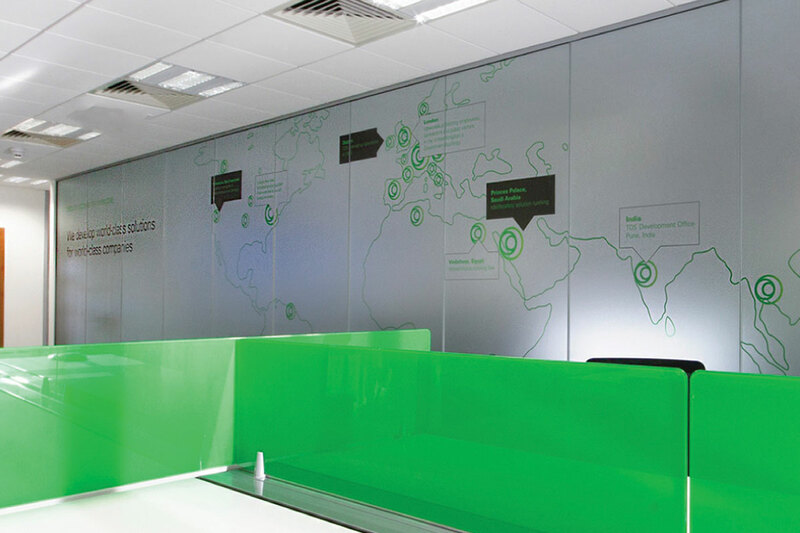 The graphics are produced using only high quality branded materials to give an outstanding finish and are installed by our talented installation team at a time that works for your business. 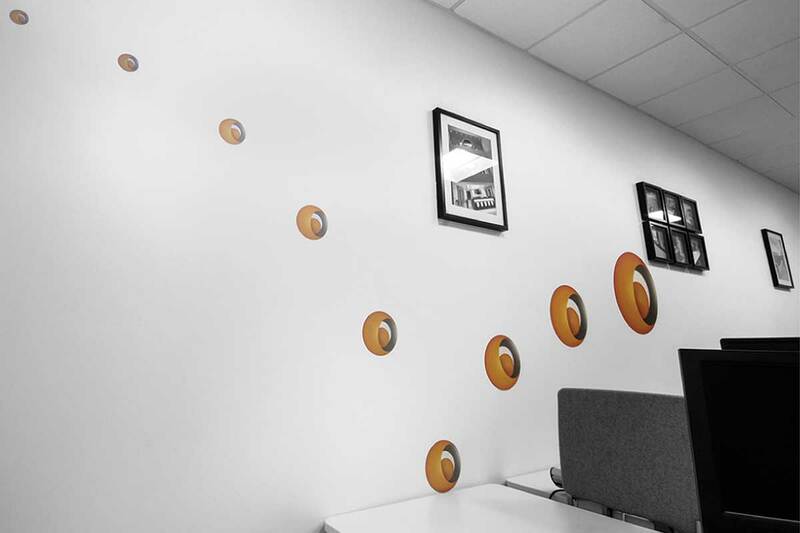 We love the challenge of creating new and exciting surface graphics that match the unique style of your brand. 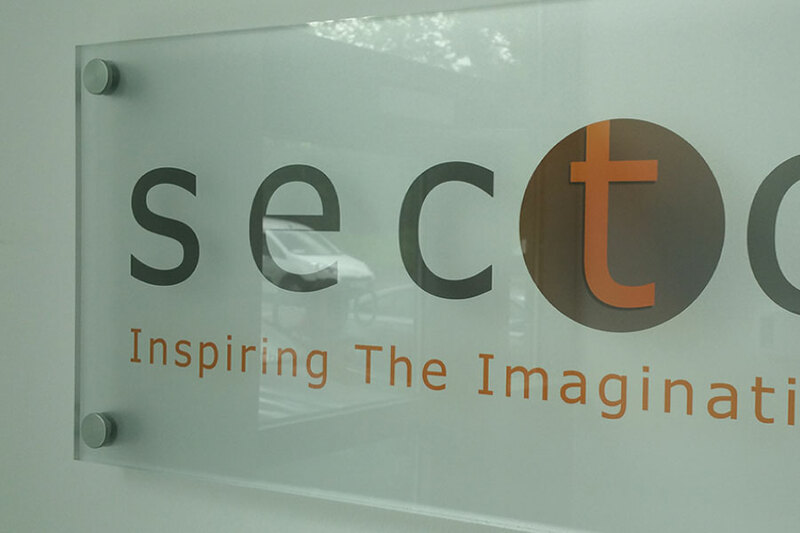 We are extremely proud of the projects we have worked on and really enjoy collaborating with all our clients to provide them with the very best in wall coverings, signs, digital photo murals, decals, logos, window manifestation and frosting. 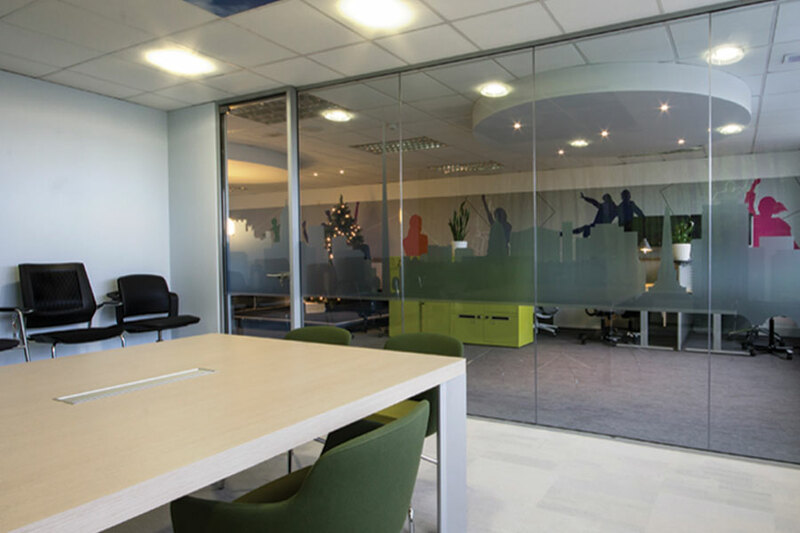 Transform any area with Sign Shop Dublin's high quality Printed Wallpapers, Wall Wraps as well as our versatile Wall & Floor Graphics. 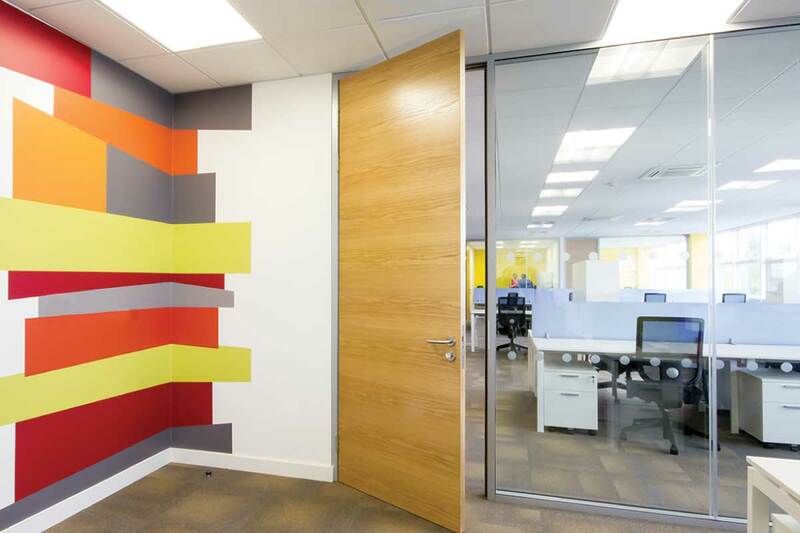 We can cover virtually any area, converting a blank space into something spectacular. 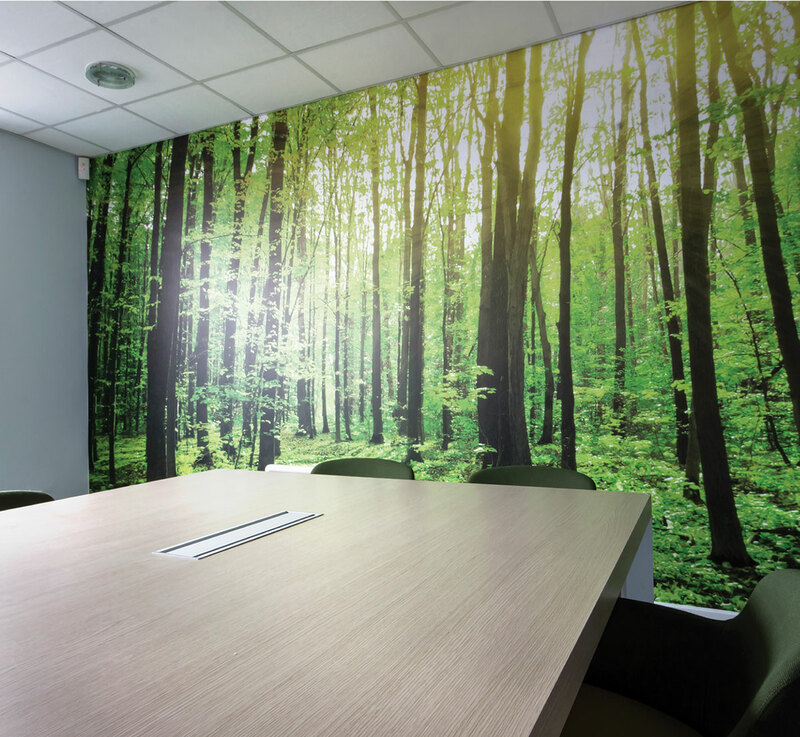 Take advantage of that empty space and add a high quality image of your company ethos, your product or services, a peaceful forest or even some motivational quotes. Let your imagination take over! At Sign Shop Dublin we know how to make the most of window space. 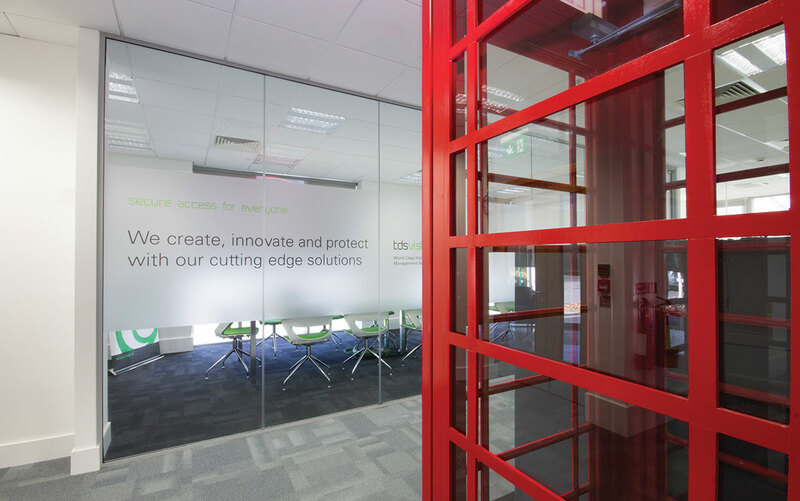 Whether you want more privacy, add a bit of colour and vibrancy to an office or simply want to turn a window into an effective marketing or communications tool, we will provide the perfect solution. 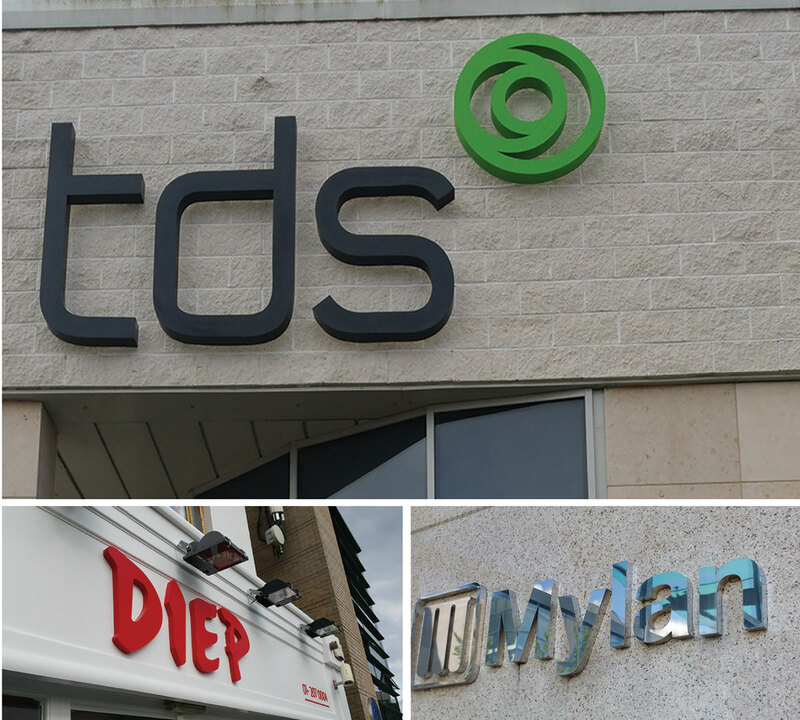 Window Graphics are ideal for things like your business name or logo, contact information, offers and promotions or just some colourful creative designs. We have a wide range of media to choose from that apply easily and remove without leaving any trace and can be cut to any shape or size required. 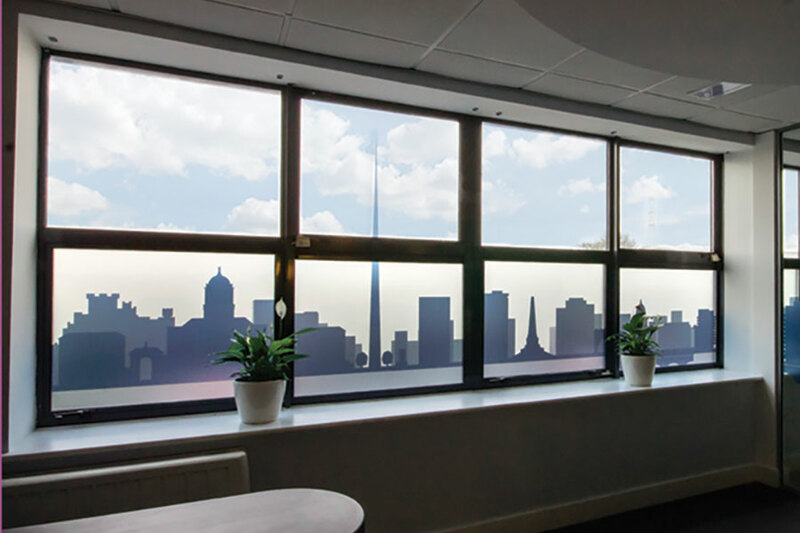 Frosted and etched-effect window vinyls are a unique decorative feature. It can be combined with colour to create a unique design with cut-out sections. 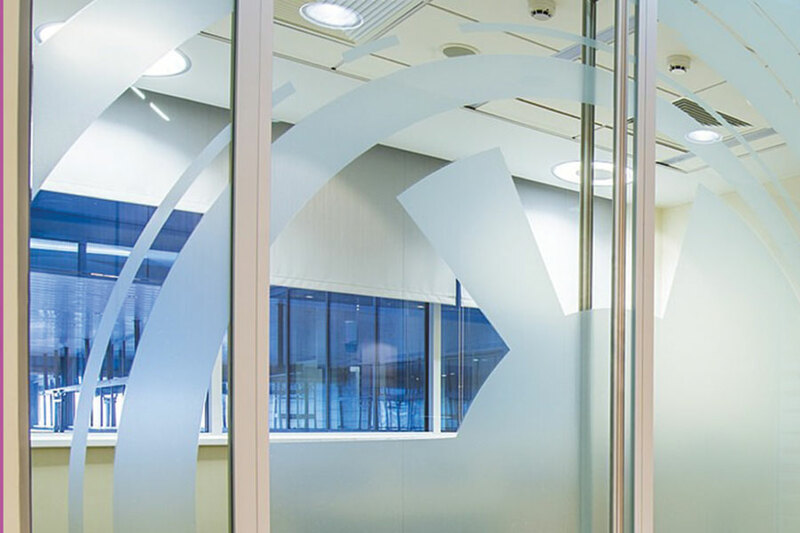 This is an ideal solution for a minimal window graphic display or any privacy requirements. 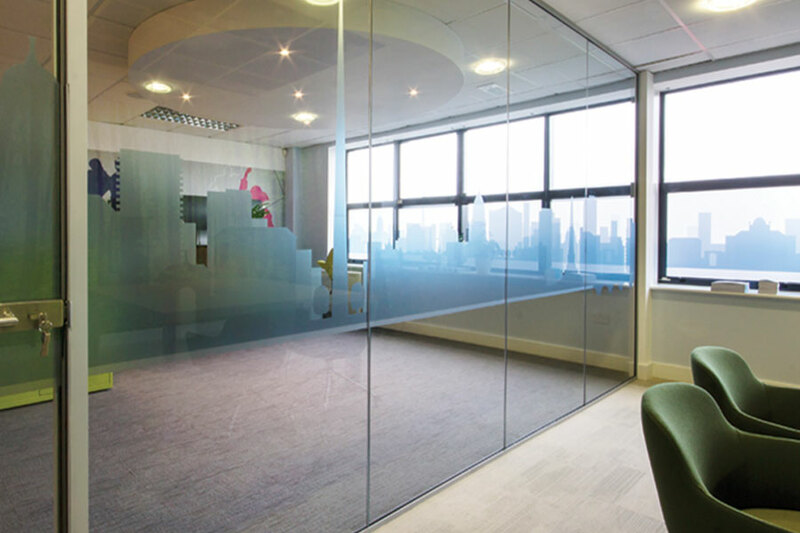 We can take photos of your office windows and mock up the finished effect before you decide on your final look and feel. Our customised acrylic plaques provide a premium alternative to traditional canvas and framed prints. They are stylish, modern, easy to maintain and look very professional. 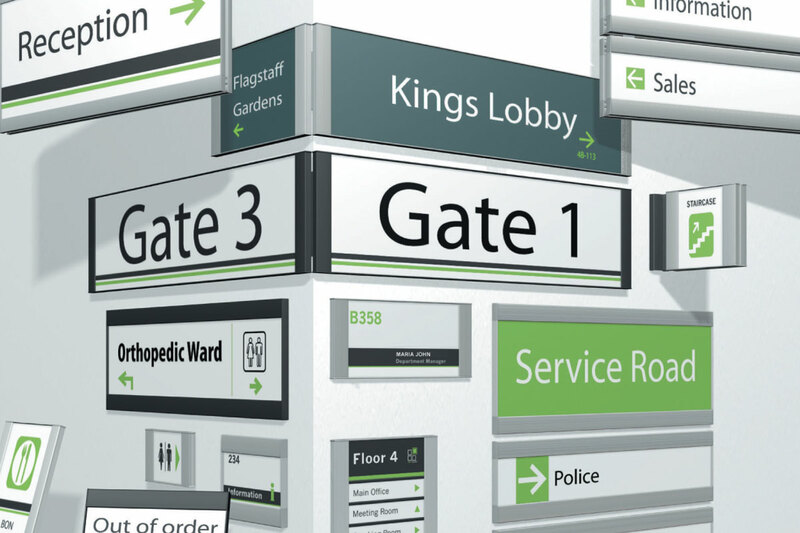 Whether as a small A4 plaque at the office entrance or a large sign in reception, acrylic plaques are a high-quality solution for your business. Illuminated signs are ideal for any interior or exterior space. They are a modern and professional alternative which give the all important first impression of your company. Available in brushed, polished, spray painted finishes etc. 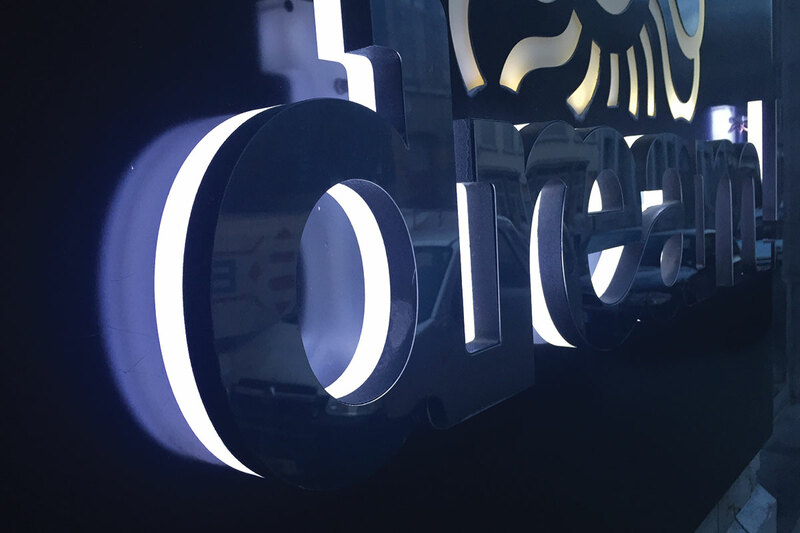 Illuminated signage can give a premium look to any sign or brand. 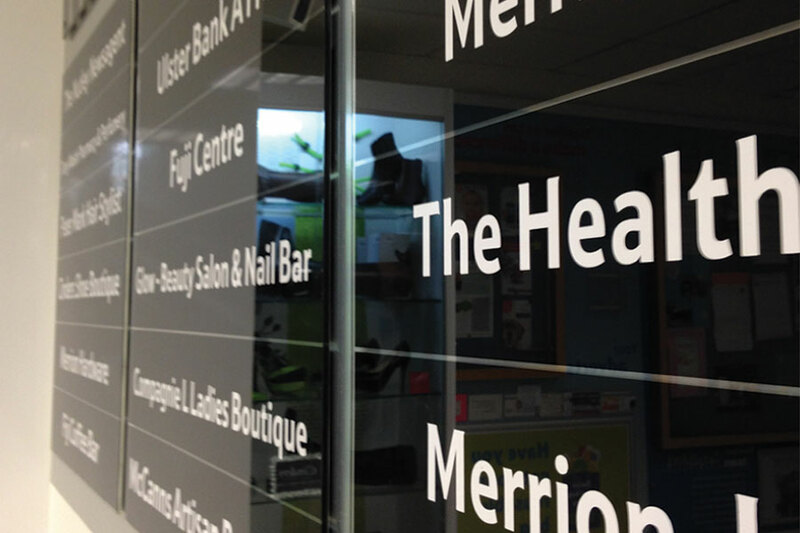 The Sign Shop Dublin Office Workspace team can advise on the appropriate sign for your company. 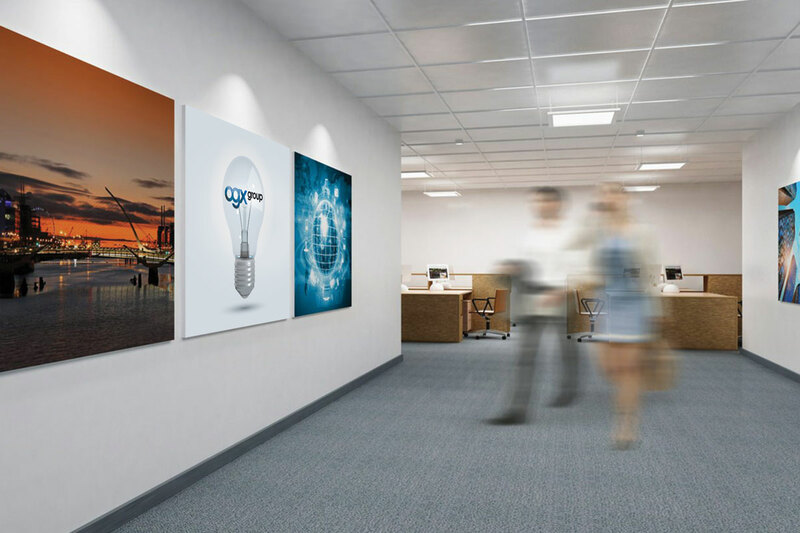 The low cost of LED has made it the preferred option for many businesses. Keep your logo noticed during the 'darker' times of the day and right through into the night. 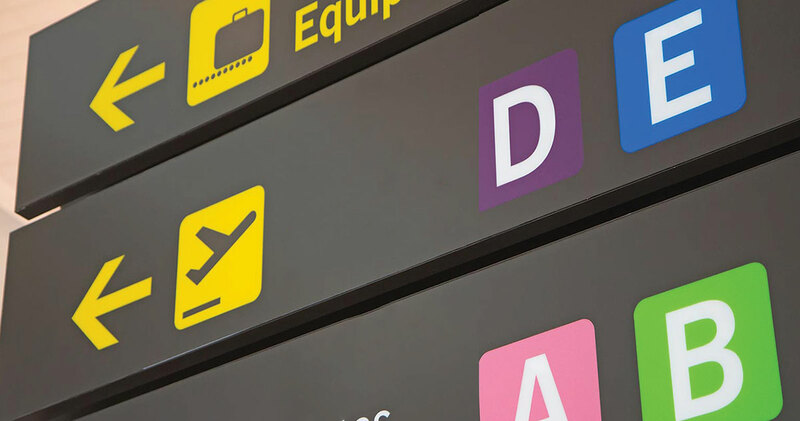 Airports, hospitals, retail outlets as well as any area used by the staff or the general public rely on simple, smart systems, which must be clear, easy to read and follow. We provide a complete solution from consultation and design to output and installation. We love bringing great ideas to life. Our talented creative design team have produced spectacular results for some of Ireland’s and the worlds leading businesses. 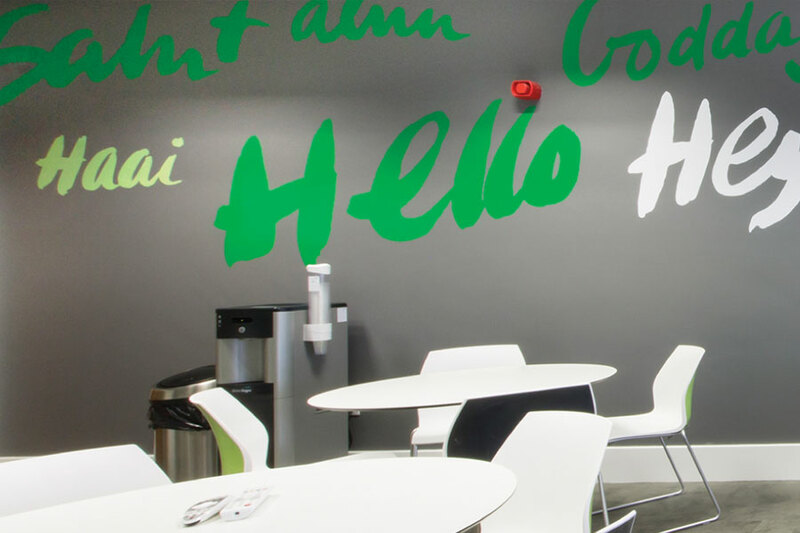 From simple printing work to eye catching window graphics, Sign Shop Dublin Office Workspace has made remarkable strides in Ireland’s graphic design industry. Our design process is unique and allows us to bring any concept to life no matter how challenging the project may be and in the most cost effective manner.